As American agents look to add handicap-focused search terms to their MLS, Canadian sales reps argue the change would only create a convoluted search portal, confusing buyers with unnecessarily detailed property descriptions. Trombetta points to the basement labelling options that are already available on the MLS backend for agents – basement, development, cellar, crawlspace, unfinished and walk-out, to name a few – that are already too detailed. And that is the greatest push-back against a more detailed accessibility section on the MLS. Patrick Allingham, a salesperson with RealtyOne, says there is already an option for wheelchair accessibility, and that is often a jumping-off point for deeper searches. 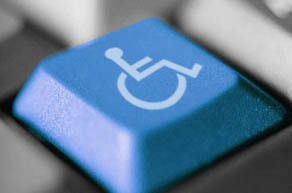 Michael Worna, however, says the danger is a section on handicapped features expanding to a long and very detailed list of options that can be far too confusing.